The clear Shure EAC46CLS is a 46" detachable earphone cable designed for use with all Shure SE-Series earphones other than the SE112. The cable is reinforced with Kevlar for lasting durability, and features formable wire ends for a customizable fit that allows down-the-back or under-the-chin wearing styles. An integrated adjustable cable cinch contributes to tidy management of the left and right cable ends. 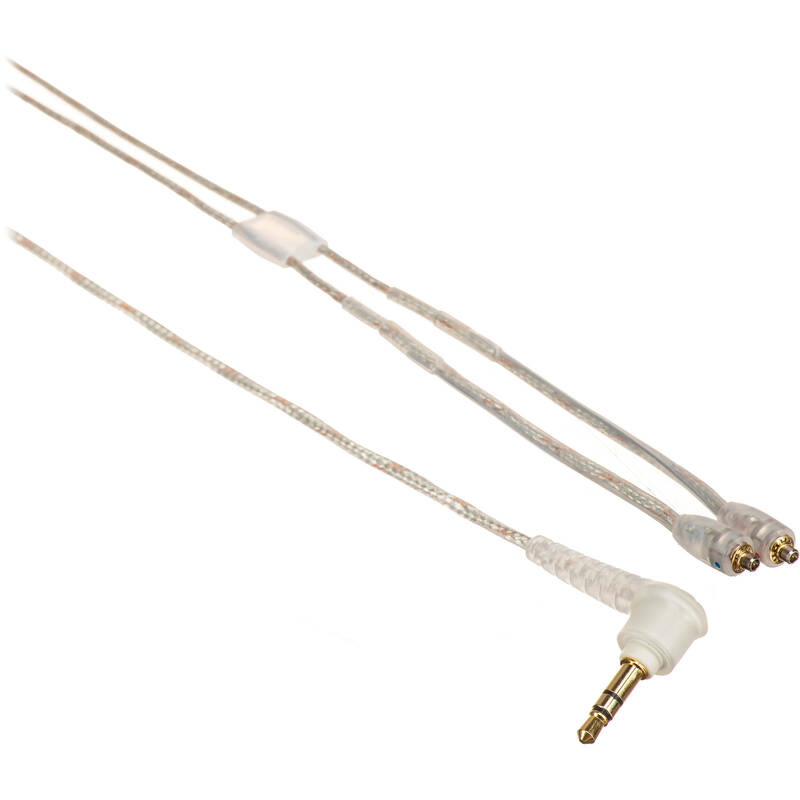 The nickel-plated MMCX earpiece connectors have lock-snap mechanisms prevent accidental disconnection while providing 360 degrees of rotation. They're also color-coded for easy left/right channel matching. The right-angle, gold-plated 3.5mm stereo mini plug provides compatibility with a variety of smartphones, tablets, laptop and desktop computers, audio interfaces, mixers, and more. Box Dimensions (LxWxH) 4.95 x 2.95 x 0.65"